When people search for "MiniMark Labels", they are often looking for MiniMark sign and labeling vinyl. 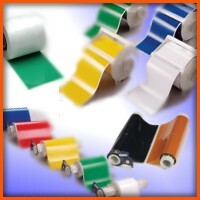 While the most commonly used term for MiniMark labels is "MiniMark Vinyl", many will use either term to search. MiniMark labels are made for use in the MiniMark labeler. To make sure that MiniMark labels are used in the MiniMark printer only, Brady uses special hardware inside the MiniMark to detect when the right supplies are loaded. Below are some popular catalog numbers for commonly used Brady MiniMark tapes. These are examples of the materials that are available for the Brady MiniMark label printer.